When Hans Nothstein was asked by his fraternity brother, Bryan Starnes, to be the co-chair of their fraternity’s annual major philanthropy project for the 2016-17 school year, he immediately knew that he wanted this year’s project to be different. Their fraternity, Phi Gamma Delta (FIJI) at the University of Washington, has a long legacy of benefiting local organizations within the state of Washington, but this year, the two chairman envisioned their annual philanthropic efforts going further by fundraising for a global cause in addition to a local cause. 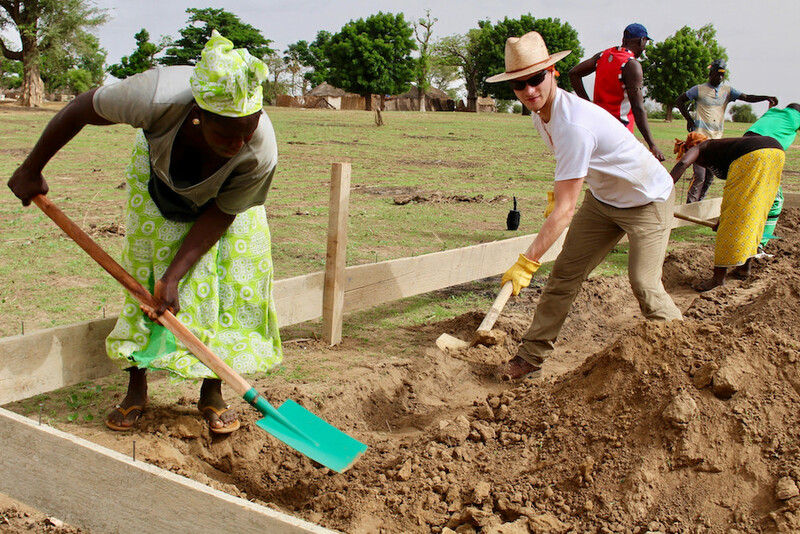 Above: Partnering with buildOn took Hans to Senegal to break ground on new school for the local community. Before starting construction the school, Hans signed the buildOn Covenant in solidarity with the rest of the Trek team and local community members. 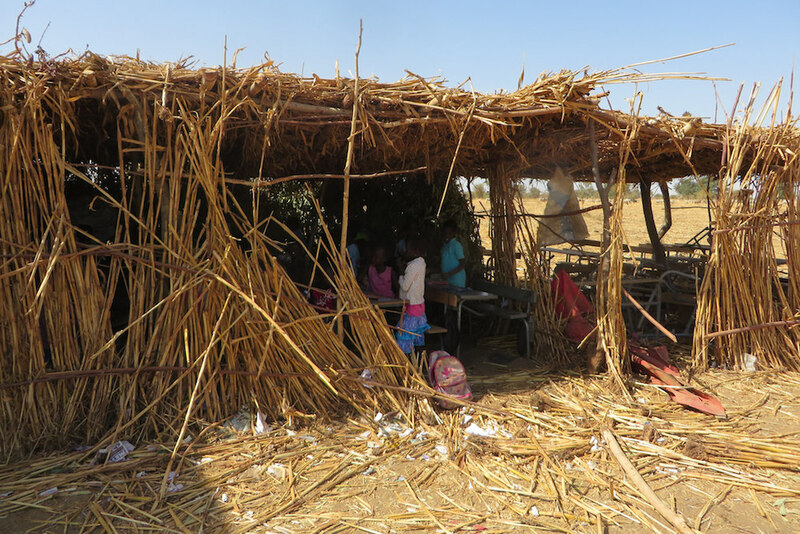 Above: The temporary classroom in the village of Niowdane did not protect students from the elements and was hot and crowded. 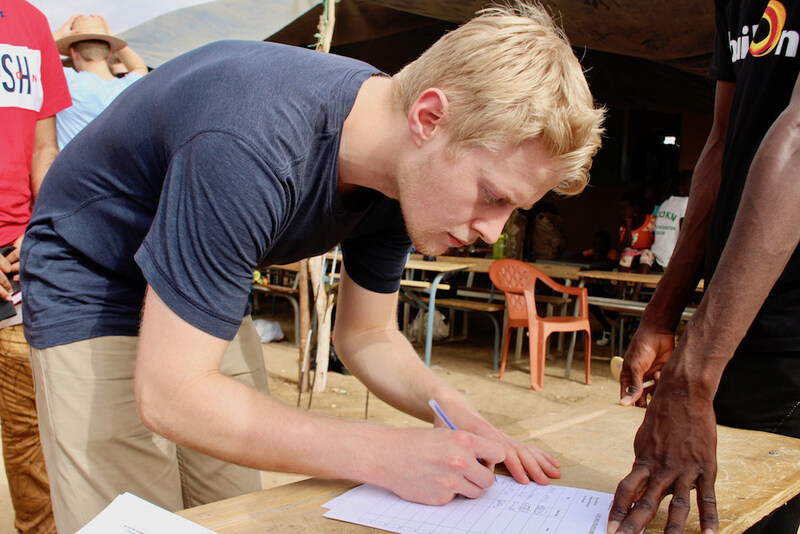 Above: Drew McCoy, a member of FIJI at the University of Washington, and a community member from Niowdane dig the school’s foundation together. For Hans, the bonds fostered with the community in Niowdane were a personal highlight of his time in Senegal. By throwing a football around with children in the village, having tea with his host family at night, and learning how to wash clothes by hand or carry water in the village, Hans felt himself becoming closer to the community. “It was really cool to be connecting even though there was a language barrier. A big lesson that kept ringing true was that we have more in common than we do differences,” says Hans. Above: Hans, an International Studies major at the University of Washington, dances with a community member at the village’s Welcoming Ceremony in Niowdane. 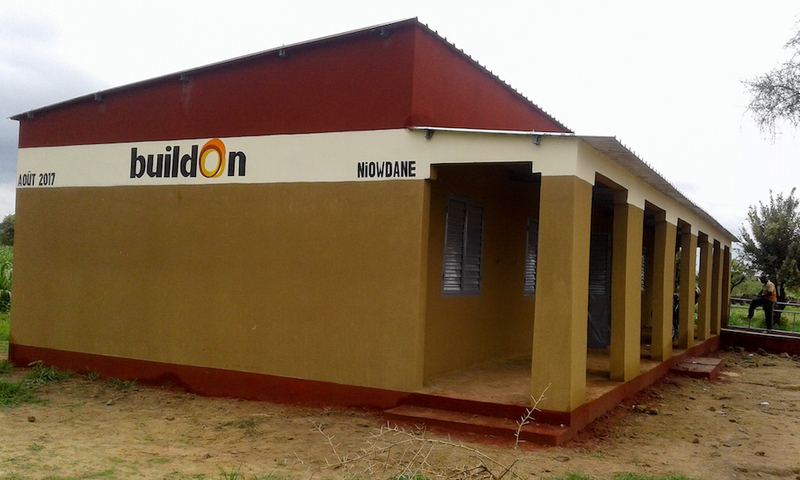 Above: The buildOn school in Niowdane was completed in August 2017 and will be open for the start of the school year in October. 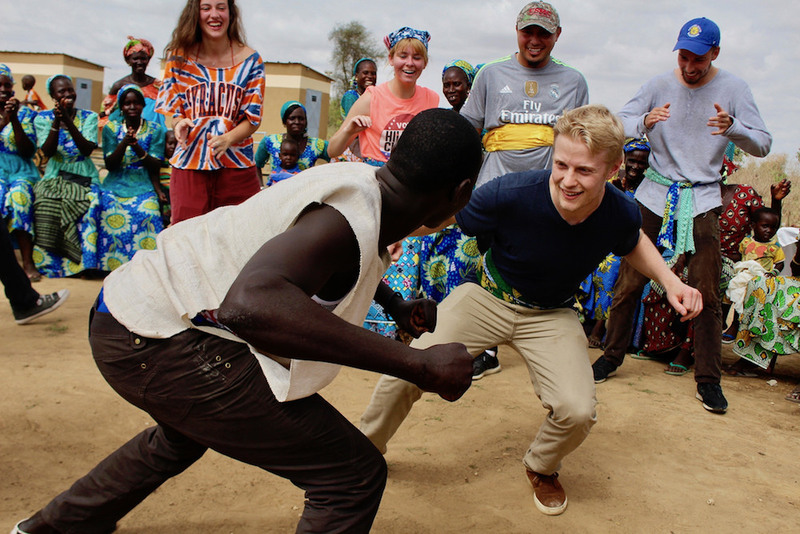 Below: Drew takes a turn dancing at the Welcoming Ceremony while on Trek in Niowdane, Senegal.